So, You’re a Writer and You Want to Move to Tasmania? I understand this picture: I almost live this reality every day, and I still dream of it. It is also challenging place to be a writer (whether for love or money). It is not impossible to be a successful writer in Tasmania, but my experience has shown it to be a very different kettle of Devils to what working as a writer in Sydney is like. If you’re keen, here are a couple of things you’ll need to think long and hard about. Of course, whatever your taste, I can’t tell you where you should live. I will happily recommend certain areas (and unrecommend others), because I know this island pretty bloody well. However, there is one unifying fact: Tasmania does not yet have the internet capabilities of the ‘mainland’. And the places that writers generally love most – out-of-the-way havens – are the least covered by the web. We will presumably eventually catch up with everyone else, but there’s no getting away from the fact that, although I live 10km and 10 minutes from the capital of Hobart, my broadband connection drops out on a regular basis. I had to swap phone carriers when I first moved, as the service was so sketchy I couldn’t carry on professional phone calls. In another example, I’d pack my bags tomorrow and move to one of our family shacks, but there’s no WiFi at either… and oh, how I love WiFi! Since moving to Tasmania, I’ve had to reassess my work style. The way I move between jobs. The way I (yuk) network. The way I charge for my work and chase payment. In Sydney, I was spoilt for choice in where I worked and what I did – so many magazines, newspapers, book publishing houses, websites, PR companies… should I be a columnist this year, or a book editor??? 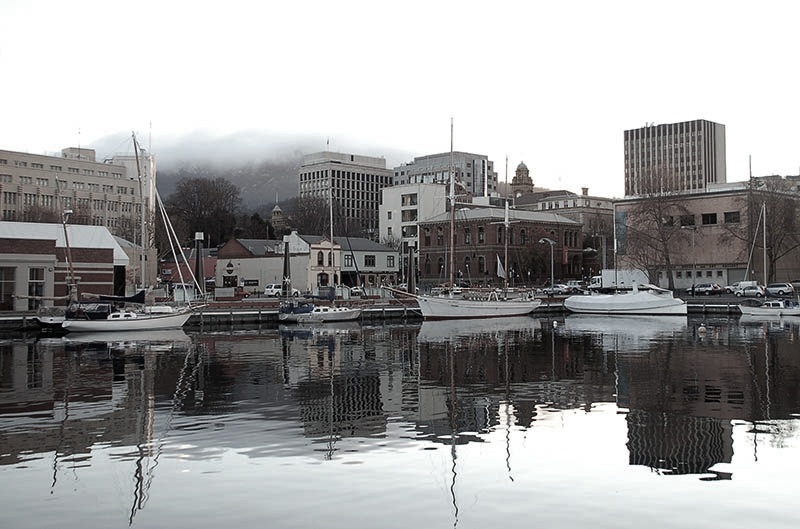 Tasmania has three ‘newspapers’ (I hesitate to call them that), a couple of indie book publishers, and about three magazines (only one of which I would recommend). Work for any of these, and you will get paid a fraction of what you receive elsewhere. Which is fine if you’ve downsized your lifestyle and you’re not fussed about money – but a bit of a slap in the face if you’re an established professional and expect to be paid as such. It’s also unfortunate to have to say this, but certain individuals and businesses in Tasmania suffer from a debilitating chip on the shoulder. There’s an inverse snobbery directed towards outsiders; it didn’t matter that I’d grown up here – the fact I lived and worked in Sydney meant that I wasn’t one of ‘them’. The usual methods of breaking through barriers don’t work here – and I might as well have not had a CV at all, so irrelevant was my mainland work – and it’s taken three years to crack the tough nut of Tasmania. My advice – to begin with – is to maintain your big town connections and, as far as possible, continue to get work from those sources. Perhaps position yourself as an expert in a niche area (moving to Tasmania??? )… I would also advise getting a regular gig/s that bring in regular money (for example, editing for academic purposes). Although I currently receive a full-time income as an advertising copywriter in a very cool Tasmanian agency, I also run a freelance business consulting for Tassie clients, and I take on regular editing and writing work for national magazines (such as House & Garden), book publishers (Murdoch Books and HarperCollins, for example) and local newspapers (a weekly column on houses and interiors for The Mercury). All of this, of course, is quite draining. Which is why, if you want to move to Tasmania, I’d suggest thinking laterally about your writing career (which you should always be doing, anyway). Don’t stop looking at ways you can work smarter, not harder. Be open to things – and you can turn your move to the twigs into new opportunities. This year, I am finding ways to not have to be physically present with clients in order to pass on my knowledge/advice to them. This year, I am finding ways I don’t have to be restricted to earning by the word, the hour or the job. This year, I am finding ways in which my work no longer has such a short shelf life, and can be more sustainable. If I’m living in Tasmania, I want to make darn sure I can enjoy the lifestyle, while not compromising on my ambition.